SHANGHAI — Get set for Max Verstappen and Lewis Hamilton to tangle again in the Chinese Grand Prix. Last Sunday in Bahrain, Verstappen tried to squeeze by Hamilton at the start of only the second lap. But their cars clipped each other and the Dutchman, well known for taking risks and pushing the envelope, wound up with a punctured tire and was forced to retire. Hamilton got the better of it and managed to finish third. But the four-time champion — and defending champion with Mercedes — was not happy. Hamilton called Verstappen an expletive after the race and suggested the 20-year-old Red Bull driver lacked maturity and respect for others. "I went through that stuff when I was a young guy," the 33-year-old Hamilton said a few days ago. "So I know how it is. And it's easy to also get ahead of yourself and forget also the respect for the other guys. "I just hope he's learning from whatever situation he's going through," Hamilton added. Verstappen didn't back down on Thursday in Shanghai and defended his driving. He said Hamilton was making him a scapegoat. 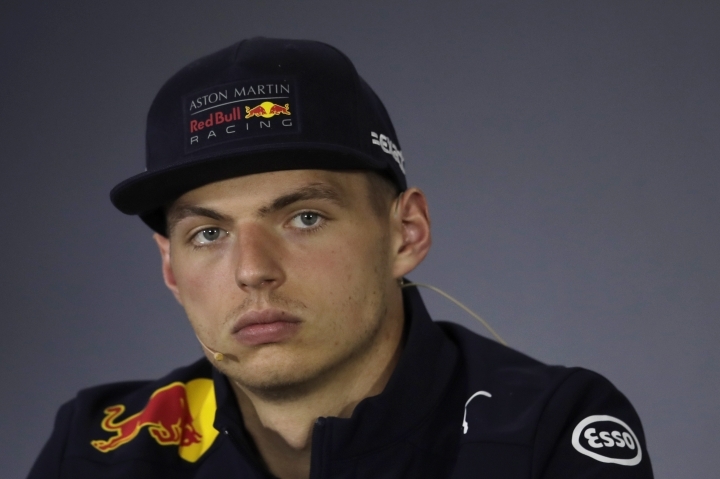 "It's quite simple and easy to blame the younger driver," Verstappen said. "That's the only way I can see it. Like I said, those things happen. There's no reason for me to change anything. "That's racing," Verstappen added. "Sometimes it works. Sometimes it doesn't. You can say whatever you like about the incident. I had a fair shot at it. It was nothing crazy, nothing risky. Unfortunately this time it didn't work out." Verstappen said he had not talked with Hamilton since the incident. He said he might, but only "if it's really necessary." Just a few minutes after he said that, the two shook hands in the paddock with some form of apology exchanged. But that won't lessen the tension on Sunday. Neither Verstappen nor Hamilton have had perfect starts as the young season enters the third race. Ferrari driver Sebastian Vettel has won the first two races with Hamilton second in Australia and third in Bahrain. Verstappen and Red Bull teammate Daniel Ricciardo both retired early last weekend in Bahrain, and they both had off-the-podium finishes in Australia: Ricciardo was fourth and Verstappen was sixth. 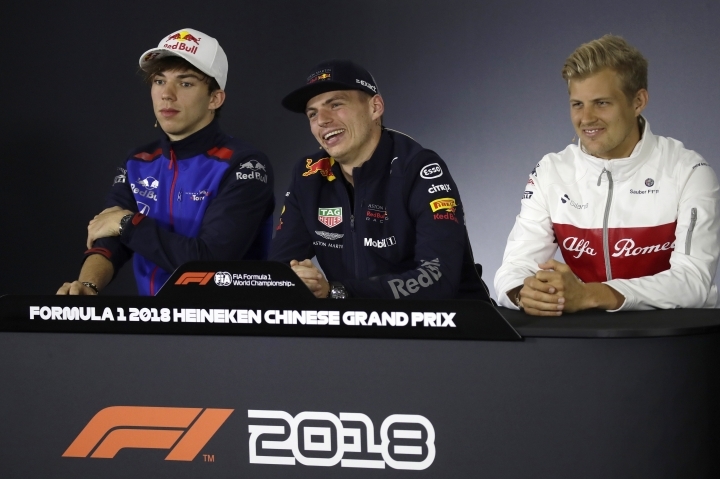 The Chinese Grand Prix on Sunday offers a chance for a turnaround, particularly for Verstappen, who finished third in China a year ago. 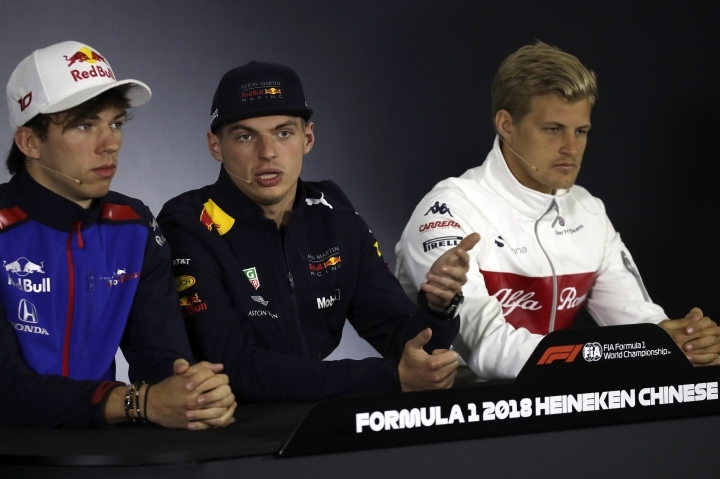 "I'm just looking forward to getting started again here because I think we have a good package and have a lot of promising things coming," Verstappen said. Hamilton is probably the favorite to win on Sunday in China. In 11 races at the Shanghai circuit, he's won five times — three of the last four races, including last year — and has claimed the pole six times. Rain is possible for practice during qualifying on Friday and Saturday, but race day should be dry and chilly. Only three other drivers on the grid have ever won on the Shanghai circuit: Fernando Alonso (2013 and 2005), Vettel (2009) and Kimi Raikkonen (2007). Verstappen was the youthful promise when — at 17 in 2015 — he became the youngest driver to race in Formula One. The next season at the Spanish Grand Prix, the Dutchman became the youngest to win a race. But he also started slowly last season, retiring in seven of the first 14 races. The only bright spot early was his podium in China. Asked if he'd be more conservative in China, Verstappen said "there won't be a change." "We gave each other, maybe not enough space (in Bahrain)," he said, "but that's racing."